June was the last month that this would be the Sample Society box. I was hoping for a nice ending before they switch to being the Allure Beauty Box solely, and this didn’t disappoint. I love St. Tropez, and have purchased other products in the line, so I was ecstatic when I saw this in the box. This smells FANTASTIC! And I really believe it helps my hair feel softer. Total Win. I like E.L.F enough, but I always question the quality. I will probably swap this brush. Gorgeous color! I can’t wait to try this in an upcoming pedicure. I can’t use wax of any kind because it usually makes me break out. I will be swapping these as well. I haven’t tried this yet, and can’t decide if I will purely because I have so many sunscreens for my face. 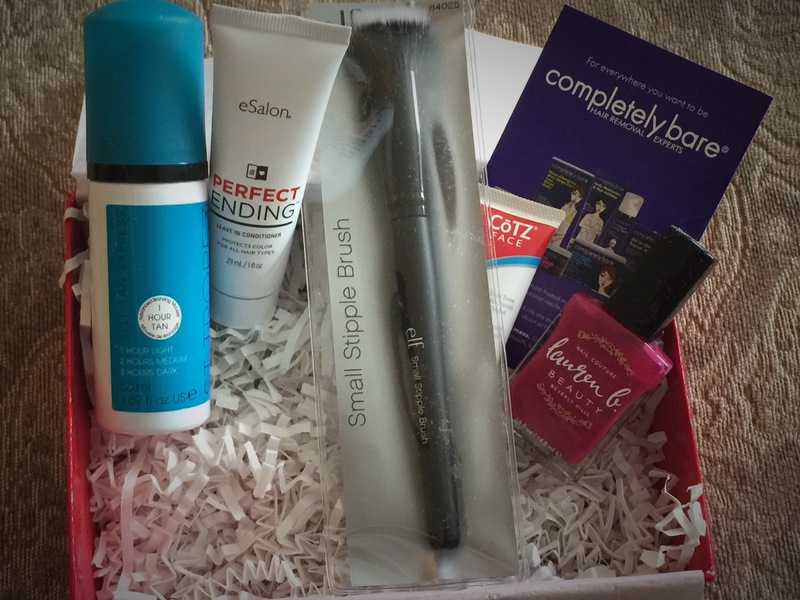 Can’t wait to receive this month’s box!